Thurles Shopping Centre sells €17 million winning lotto ticket! 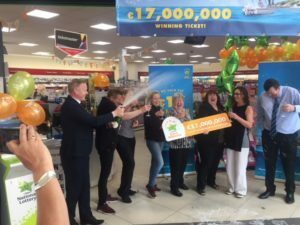 Eason in Thurles Shopping Centre may well be the luckiest shop in Ireland after selling last night’s mega €17 million EuroMillions jackpot ticket – just eight months after selling a €7.5 million Lotto winner! The National Lottery confirmed today that the winning EuroMillions Quick Pick ticket was sold in Eason’s Thurles – and that contact has been made from a syndicate following the mega win. News broke earlier this morning that the winners were part of a 32 person syndicate from Stakelums Home and Hardware Thurles. A spokesperson from the syndicate is believed to have made contact with lotto officials this morning. “We have had a lot of people buying lottery tickets since our win in October. And we also saw an increase in Scratch Card sales of around 20%. After this, we may be known as the luckiest shop in Ireland. It is fantastic for Thurles and we wish the winners all the best of luck with this massive win,” he added. 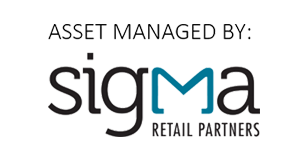 Stakelums Home and Hardware store employs 70 people in total, while the syndicate is understood to be made up of both former and current staff. Speaking about the win this morning, Joe Stakelum told the Tipperary Star that the syndicate has been running in the store for more than 20 years, adding that one of the winners only joined the syndicate within the last six months. However while staff were indeed delighted to have won, Mr Stakelum told the Tipp Star that celebrations were “tempered” following the news that a syndicate member’s father had passed away on Tuesday evening. “Everyone is very happy to have won but out of respect to our colleague celebrations are being tempered. Some of our staff found out this morning as they came into work they had won and we also have staff out on holidays so we are in the process of contacting them as well,” he said. “It’s super news for the town because there are 32 families going to benefit. Some of the syndicate have been members for over 40 years, some are ex-staff who remained in the lotto and some lads are in their 20s so it will benefit a hole cross section of the town,” he said. Thurles has had several other big National Lottery wins in recent months including a syndicate who collected a cheque for a whopping €250,000 after winning the Lotto Plus 2 top prize on a ticket sold at the Centra Store in Stadavoher, Thurles. In March a scratch card paying out €500,000 was sold at Sheedy’s Centra Store while McKevitts Costcutters Store on Friars Street, Thurles, sold a €500,000 Lotto Plus 1 winning ticket last December. Also in December 2017 there were also two separate scratch card wins of €250,000 and €100,000 bought in shops in Thurles.